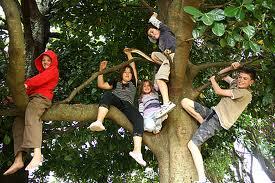 ALLOWING children to take risks increases their resilience and helps them make judgments. The current “cotton wool” culture means many kids are not getting the chance to fully explore their world and learn essential life skills. “Too many kids are playing it too safe, [creating] a marshmallow generation,” says child psychologist Dr Michael Carr-Gregg. “If you restrict children from playing outside, you send a message that the world is a much more terrifying place than it is and you run the risk of making kids risk-averse,” he says. The need for kids to learn to take calculated risks in safe environments has been a fervent topic of discussion in the media following recent reports that a Sydney inner-suburban primary school had banned kids from doing cartwheels and handstands.